On Tuesday, October 30th, Apple held an event revealing their new iPad Pros, an announcement I’d been eagerly awaiting since the summer. This spring Apple introduced a budget iPad for the education market. This “cheap” iPad had everything I thought I wanted in an iPad, including Apple Pencil support, for handwriting recognition, which would make an iPad perfect for meetings, notes, simple drawing and more. 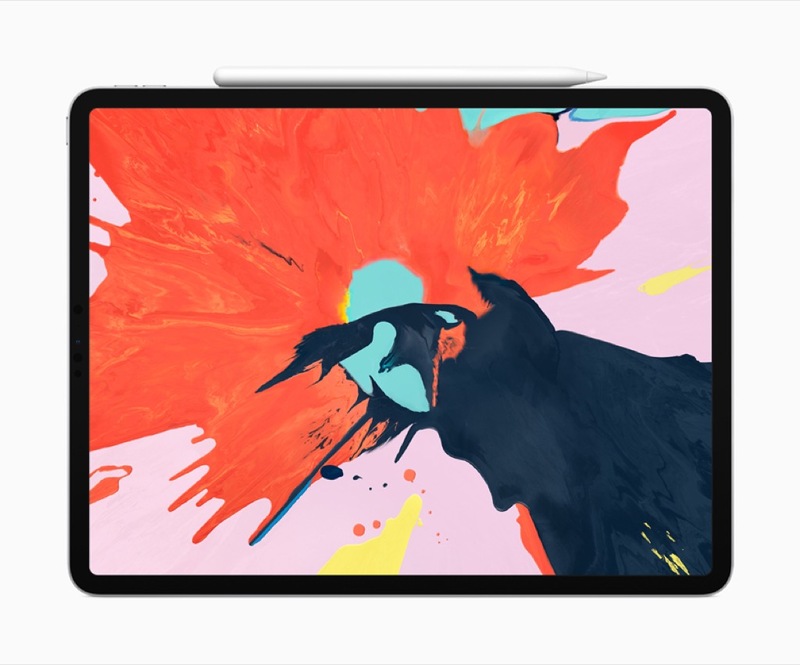 Unfortunately, especially for my wallet, I consider myself a Pro, and wanted to be patient for the beefier models of iPad to come out. And beefier these new pro iPads are. With a revamped A12 chip found in the month old iPhone XS series phones, the A12X chip is benchmarking with better processing speeds than the iMac Pro (in single threaded scores at least). That Apple Pencil I wanted for handwriting was revamped as well. Apple designed it with a flat side, so now it won’t roll away when you set it down. They also put a magnet in it with inductive charging. You can just place it on your iPad, and it’ll stick to the side and charge. How convenient! I could certainly learn to be an artist with a tool like that (please note the sarcasm). I haven’t even mentioned the redesigned form factor, fitting more screen real estate into a smaller footprint. They also removed the home button, opting instead for FaceID, putting it at parity with my iPhone XS Max. So, why am I not getting it? I don’t think she was trying to talk me out of a purchase. She’d be fine with me getting myself a new toy if I needed it. But those simple questions framed the entire event for me. Why do I need this? I really really want this iPad. But I spent the entire event looking at some of the flaws. The price was the first. I wouldn’t have the savings in my “play money” account until at least the new year. And if there is anything I’d like to be, it’s fiscally responsible with my “play money” account. But that’s a factor solely related to my own earning, saving and spending capabilities, and isn’t the fault of Apple or the iPad Pro. The Smart Keyboard Folio was the first knock. The solution Apple is providing for what I’m doing at this second, is not greater, much less on par with my current iPad writing setup. While the Smart Keyboard Folio adds protection the old Smart Keyboard didn’t really, it isn’t easy to remove the keyboard to go from “laptop” to “tablet” mode. The current Belkin keyboard I have attached to my iPad is a wonderful keyboard, with backlighting, function keys for home, volume, and media playback, with magnets that allow me to go from writing to reading in a quite literal snap. The second might be one of the most celebrated “features” of this new iPad, and quite possibly one of the most persnickety reasons every devised to talk one’s self out of something: the USB-C connector. USB-C is a wonderful new advancement in technology that adds high transfer speeds, works for everything from pushing video, audio and data, and removes that great annoyance of turning over the USB connector three times to finally push it in the correct way (It’s completely symmetrical). And it is this exact advancement that pushed me off buying the new iPad. The price I could get around. I’d save for longer. The keyboard I could get around. I’d be busy saving, so I’d just wait for a third party solution to come out. The USB-C connection though would mean a complete overhaul of my charging/to-go setup that I’m just not mentally (or financially) ready to go through the process of upgrading. At present everything I own either charges through micro USB or a Lightning cable, and all of my must haves charge through Lightning. Adding a third standard to that mess is just too much mess for me to handle. It may seem like a small thing, but if I go on an overnight trip, I take an iPhone, iPad, AirPods, Apple Watch, one Anker USB brick, and two lightning cables and a watch cable. The new iPad would add another cable needlessly to do the same job. The USB-C connector being the only way to plug into the iPad also seems like a sign, at least to me. Apple looks like it could be transitioning away from it’s patented Lightning connector, and moving to an all USB-C world. With rumors of new headphones from Apple, and a yearly upgrade cycle to the phones and (crosses fingers) the iPads, I could put up with another 8-12 months of waiting for Apple to complete this transition. It means 2019 might be extremely expensive, but I’d have a setup where everything is interconnected in all the right ways. Plus, the iPad I’m typing on, still takes text input. So, what do I need a new iPad for, this one isn’t getting too slow.